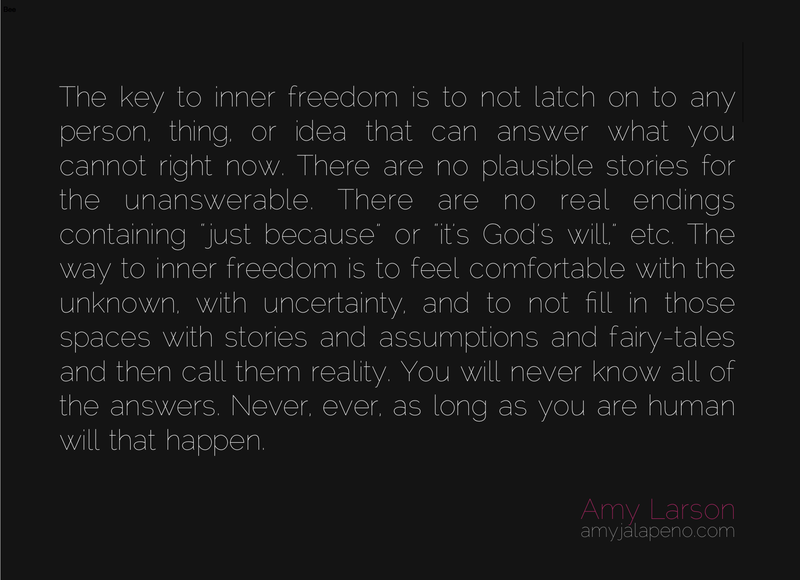 do you fill in the unknown with fiction and call it reality? (daily hot! quote) – AmyJalapeño! Unanswerable or unknown? Perspective and perception? Lots of tricky ones there to sure Amy. To be willing to accept not knowing what may be in the future is one thing. But there is a difference between hopes and false reality , I am sure you believe that one dreams and desires play a part in healthy psyche ?